Igor Ivanovich Shuvalov (born 4 January 1967) is a Russian lawyer and politician. Since May 2012 he serves as First Deputy Prime Minister in Dmitry Medvedev's Cabinet. Previously, he served in the same capacity in Vladimir Putin's Second Cabinet. As First Deputy Prime Minister, he is the most senior member of the cabinet besides the Prime Minister and is responsible for federal budget and economic policies. He serves also as a member of the Council of the Eurasian Economic Commission. The press regularly covers Shuvalov's extravagant lifestyle. The Times wrote that he "uses a £38 million private jet to transport his wife’s corgis to dog shows across Europe". The Daily Mail reports on Shuvalov's £12 million apartment "just a short walk from Downing Street". The Washington Times covers the controversy surrounding Shuvalov's alleged ownership of an enormous $9.4 million apartment in Moscow. 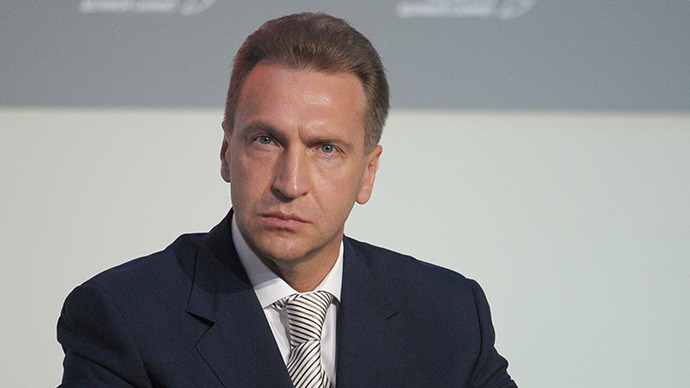 According to the 2012 declaration filed and posted on the Government of the Russian Federation’s website, Igor Shuvalov is the wealthiest member of the government. His income was 226,386,929 roubles. In the same year his spouse Olga Shuvalova earned 222,009,378 roubles. VEB.RF determined the new structure. In the process of optimization, 2.5 thousand people will be reduced, three subsidiaries will be attached to the parent company, Svyaz-Bank will go to the treasury, and some of the staff will move to Voronezh. The company of the former deputy chairman of Gazprom has spent hundreds of millions of rubles on the road for the new Silk Road. What can stop her? Journalists estimated the real estate of a former official, and now an influential banker in the civil service, at 17 billion rubles. The Ministry of Finance will allocate an additional 25.5 billion rubles to VEB to pay off the bank’s debt. In total, in 2019-2021, VEB should receive 200 billion rubles of state aid. Bank debt is approaching 400 billion rubles. The Russian bank asks Kiev to recall the agreement on protection of mutual investments. 300 billion rubles of state aid in 2018, the "black hole" of the Russian economy under the name of VEB is not enough. In 2019, the head of VEB Igor Shuvalov expects another 300 billion rubles. The head of Rostecha warned Prime Minister Dmitry Medvedev about the risks of the plan for VEB's new management to revise the conditions for the financial recovery of Tractor Plants. The transfer of the deal threatens the implementation of the state defense order, Chemezov believes. The Moscow Arbitration Court ordered the sale of the firm - owners of LCD Neskuchny Home & Spa. The plaintiff was VEB, to whom the businessman's structures owed in aggregate up to 12 billion rubles. The Russian government has prepared a memorandum that will allow VEB to generate losses for another three years. The hole in the balance of this bank is already 1.4 trillion rubles. Vnesheconombank begins to dispose of non-core assets - the first applicants for sale have been identified. These are two shopping centers in Moscow, a department store in Novosibirsk, a hotel in Sochi and a metallurgical plant in the Czech Republic. It will be the sawing project of Alexander Mamut CB "Strelka". After leaving the government of the Russian Federation, Igor Shuvalov, a lobbyist for allowing retail chains to sell over-the-counter drugs, his successor Tatyana Golikova withdrew this project from the Cabinet's agenda. That's why the project of Sergei Chemezov and his partner Alexander Vinokurov was torpedoed. The partner of RZD, Chinese CREEC, considered the transcontinental project "Eurasia" to be unencumbered without concessional financing. His prospects depend on the participation of sovereign funds of the participating countries and the political situation, experts say. The "Corgi airplane", first described by Aleksei Navalny, was replaced by the Gulfstream G650, so beloved by the participants of the Russian Forbes list. The verdict against the employees of Hochtief Development Russland came into force. Otherwise VEB's role in the pension system will be incomprehensible. 600 billion rubles in yuan for 5 years for the "black hole" of Russian public finances. The World Cup in Russia will be the most expensive in history, although the organizers refused some plans, and some of the objects failed to be delivered by the deadline. Taking into account the costs of the regions, the total budget of the championship will exceed $ 14 billion. Igor Shuvalov began work at the head of VEB with a proposal to cut almost half of the staff of the state corporation. Although the savings will be small. To become an effective development institution, VEB needs to cut costs, experts say. The state corporation will cut staff by half for 900 people, which will give it a saving of 3.5 billion rubles a year. Only last year VEB's losses amounted to 287.7 billion rubles, and in the last four years - more than 750 billion rubles. VEB will risk the money of pensioners and the budget for the sake of megaprojects for 750 billion rubles. The former deputy prime minister agreed to head Roskosmos at the suggestion of the president and promised the head of state "to justify his trust." To another outgoing deputy prime minister, Igor Shuvalov, Putin offered to become the head of Vnesheconombank. The former vice-premier of the government of the Russian Federation will be able to head the state "bad debt bank" from May 28. Plus is that now Shuvalov will be able to provide the British authorities with proof of their income, for which he bought expensive real estate in the UK. The former first deputy prime minister will have to continue clearing old debts. In the new government, ten vice-premiers and twenty-one ministers, and five vice-premiers and nine ministers left. ALROSA will look in "Crystal"
The plant can be privatized by direct sale. Transparency International became interested in Igor Shuvalov's income.